These new stores sell everything from stylish eyewear to bicycles. This year, there were plenty of cool and exciting new additions to Calgary’s retail scene. At least 31 stores opened across the city, offering vintage apparel, stylish eyewear, cycling products, menswear, home decor and more. While many of these are brand new stores, some are old favourites that relocated into bigger and better locations this year. Either way, there’s plenty of shopping options for everyone. Until recently, there weren’t many places in Inglewood where you could shop for vintage apparel. That’s changed now with the recent opening of Antiquaire, a new two-floor boutique located in the space that used to house Eye on Design. Along with vintage apparel and accessories, the store offers hundreds of vintage wedding dresses. Antiquaire’s large selection of apparel generally hails from anywhere between the 1900s to the 1980s. There’s a new spot to get your art fix in Inglewood. At Art on 9th, artwork by local artists is featured (and available for purchase) in temporary exhibit spaces that change regularly. The gallery, which opened on May 4, has two exhibit areas: The Collection, which features artwork from eight different artists every two months, and The Salon, which features artwork that changes monthly. The short term nature of the exhibits means there will be new pieces arriving regularly for art lovers to peruse. Current artists featured in the gallery include Alan Nuttall, Louise Savoie, Nadine Johnson and Aaron West. Australia-based eyewear company Bailey Nelson already has brick and mortar stores in Vancouver and Toronto, and as of December 7, there’s one in Calgary too. Located in Kensington, the new store offers eyeglasses and sunglasses in a range of colours, styles and patterns. The glasses are also reasonably priced — most pairs are around $175 to $205, with only a few pairs reaching $285. Bailey Nelson also offers eye exams. Up your style game with a luxurious new accessory from Beyond Scarf. Originally an online-only company, Beyond Scarf opened its first storefront on 17 Avenue S.W. (beside the Shoppers Drug Mart) on November 17. The store’s colourful silk scarves, pocket squares and bow ties would make the perfect finishing touch for your next stylish outfit. The accessories also have a bit of international flair — the range of brands that Beyond Scarf carries includes Helen Ruth from Scotland, Astrid Sarkissian from Paris and Carson & Co from South Carolina. Part coffee shop and part bike/repair shop, Bike and Brew opened in Bridgeland this past March. The 2,600-square-foot shop offers a wide selection of bicycles from brands like Kona, Apollo, Masi, Simcoe, Del Sol and Cinelli, plus cycling accessories and cycling-friendly lifestyle apparel. There’s also a full-service bike repair shop at the back of the store. In Bike and Brew’s coffee shop area, handmade hemlock fir tables and benches line the front windows, while a modern black and white coffee bar sits nearby. Order a cup of Fratello coffee and some baked goods from Corbeaux Bakery. Click here to read more about Bike and Brew. Blue Door, a local olive oil and balsamic vinegar store, opened another location in Marda Loop in mid-June. The approximately 950-square-foot shop ​carries more than 70 different kinds of olive oil and balsamic vinegars, which can be sampled before purchasing. Blue Door also carries items like cookbooks, jams, cocktail bitters and salts. Calgary brides-to-be have a new place to find the dress of their dreams. Blush & Raven opened in the Beltline this past June. The 1,100-square-foot, two-level shop carries couture bridal and event dresses, and is particularly perfect for those who want a more modern look. Notable bridal lines include & For Love, Flora and Persy. Blush & Raven also offers a selection of jewellery and accessories, including custom jewellery by Brooke Kleiner, one of the shop owners. The by-appointment-only shop offers a luxurious space to do your wedding shopping in — think a modern, airy SoHo loft with high ceilings, an eye-catching chandelier and lots of natural light. This 1,400-square-foot shop opened its doors at the beginning of February along 17 Ave. S.W. in Lower Mount Royal. With its white walls, light wood floors and marble backsplash, Blondie Boutique offers a sleek space to shop for stylish women’s wear and accessories. Take your time browsing the range of brands here for items like tulle skirts, feminine tops, cute dreses, faux leather Spanx leggings, dainty gold necklaces, joggers, cozy hats and more. Calgary Cycle, the city’s oldest bike shop, recently moved its original store into a new location along Bow Trail S.W. in the Westgate neighbourhood. 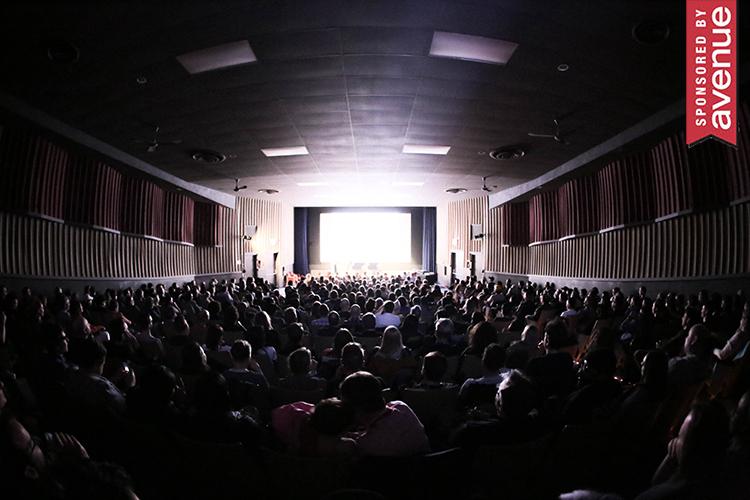 At 11,000-square-feet, it’s more than five times the size of the previous location. The new store carries an impressive selection of bikes that includes mountain, road, e-bikes, city bikes, hybrid and children’s bikes, as well as bike apparel, accessories and gear. There’s also a service shop, a public cafe called The Hub and a community fitness space where both Calgary Cycle and local trainers/coaches can hold classes. Calgary Cycle also has three other locations in the city. Click here to read more about Calgary Cycle’s new store. In a very timely move, luxury winter clothing company Canada Goose opened in CF Chinook Centre just in time for the start of winter. This is the only Canada Goose store in western Canada, and the only other location in the country is in Toronto. The new Calgary store’s sleek design is complemented by Canadian artwork and photography. Shop the Canadian company’s signature parkas inside, as well as jackets, knitwear, accessories and more. Get ready to experience some serious kitchen and bathroom envy at Empire Kitchen & Bath, which recently opened a new 18,000-square-foot showroom in Calgary’s Manchester area. Get a sense for the range of kitchen and bath options out there with Empire’s displays featuring different plumbing fixtures, lighting, tile, hardware and more. You can also see what an entire kitchen or bathroom could look like thanks to luxurious displays that are fully set up to look like a room in someone’s home. Empire also offers custom cabinetry, and guests can see into the workshop area at the back of the showroom. Whether you’re looking for a suit for your wedding or the office, Eph Apparel can help. The Winnipeg-based custom suit company opened a Calgary location in the Beltline this past summer. The store offers made-to-measure suits, dress pants and shirts to help you look as good as possible (during a suit fitting, for instance, 18 measurements are taken). The best part is that you can get the custom fit look at an affordable price here. Hemm, previously an online-only activewear shop based in Calgary, has opened a 1,000-square-foot concept store in Britannia. Stop by to shop for fitness apparel like leggings, tank tops and sports bras from more than 30 brands including Lilybod, Lorna Jane, Splits59 and Beyond Yoga. You can also pair your new outfits with workout accessories like gym bags, water bottles, backpacks, towels and leg warmers. Family-owned menswear retailer Henry Singer opened a new 6,000-square-foot flagship store in downtown’s Eighth Avenue Place just in time for the Alberta company’s 80th anniversary next year. Designed by McKinley Burkart, the new store is home to a tailor shop, a made-to-measure fitting suite, an apothecary and the latest Johnny’s Barber + Shop location. Stop by to check out this impressive new space and shop for luxury menswear brands such as Eton, Hugo Boss, Canali and Kiton. Click here to read more about Henry Singer’s new store. Hillberg & Berk, a Regina-based jewellery company, recently opened its first Calgary store in Market Mall. The nearly 1000-square-foot store carries the company’s latest collections of earrings, bracelets and necklaces featuring Swarovski crystals, freshwater pearls, semi-precious stones and more. Calgary men can now refine their look with a visit to Indochino, a Vancouver-based company that opened its first Calgary store in CF Chinook Centre this past April. Located between Townshoes and TNA on the main floor, the store offers custom, made-to-measure menswear items like suits, dress shirts and pants at very reasonable prices. This means the shopper gets to customize their look by choosing the clothing’s fabric and details like buttons and lapels. And of course, guests will be measured to make sure the final suit or shirt is just the right fit. Add some sophistication to your home with a visit to Luxuries of Europe, a new furniture store from the owners of Calgary’s Roche Bobois. The new Beltline store, located right next door to Roche Bobois, focuses on two high-end, Italian furniture brands: Reflex Angelo and Prianera. Shop for tables, chairs, sofas, lighting and more. 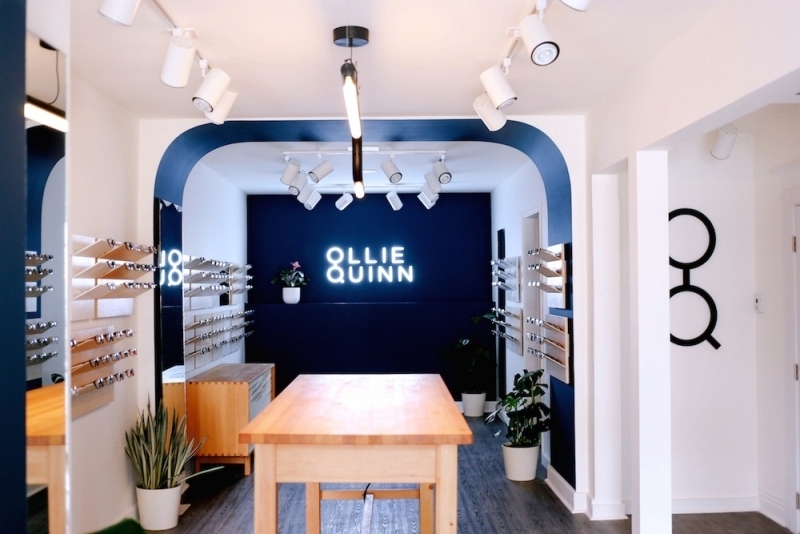 For stylish and affordable eyewear, head to Alberta’s only Ollie Quinn location in Lower Mount Royal. This sleek new eyewear store only carries its own designed-in-house brand, which offers dozens of different frame styles for men and women. All the frame styles, which have names like “Campbell” and “Harriet,” have their own personality while maintaining a minimalist, modern style. They also come in a range of colours and shapes like cat eye, aviator or round frames. But the best part is that all the frames are available for only $145 (and that price even includes single vision prescription lenses). The Calgary store also offers optometry services like eye exams and sunglasses. Teens and young adults can up their fashion game affordably at Plato’s Closet. The consignment store chain opened two locations (one in the northeast and one in the southwest) in Calgary this year. The stores carry gently used apparel, accessories, shoes and jewellery from brands like Forever 21, American Eagle, Abercrombie & Fitch, Steve Madden and more. Get your hands on a stylish top or pair of shoes for significantly less than their original prices. You can also do a closet purge and bring some items in for the store to consider purchasing. While adults can shop for themselves at any of Purr‘s three Calgary locations, there’s plenty for little ones too at Purr Petite. With a location in Kensington already, Purr Petite recently opened a second, beautifully designed location in Mission. The new shop has filled a hole in the neighbourhood’s retail offerings with its selection of adorable toys, apparel, books and accessories for children. Click here to read more about Purr Petite’s new store. Get ready for some serious office and workspace design inspiration when you step into the newly opened Recess Shop. Kyle Chow, the owner of Plant in Inglewood, opened this new stationery shop on December 7. Located just a few doors down from Plant in part of the former Sprouse Fire & Safety building, Recess Shop carries stylish notebooks, writing instruments and office supplies from Europe, Japan and North America. The shop carries products like Palomino Blackwing pencils, Caran d’Ache roller ball pens, Moglea notebooks, desk organizers, letter boards, cards and much more. Many Calgarians will remember Reworks Upcycle Shop’s previous store location in Inglewood, which moved to the Calgary Farmers’ Market in 2016. While the market location remains open, Reworks once again has a brick and mortar shop that opened this past summer (it originally opened under the name EcoHubYYC). Located in Victoria Park, the approximately 1,200-square-foot shop carries sustainable, local and upcycled products including glasses made out of upcycled beer bottles, messenger bags made out of seatbelts, reclaimed wood cutting boards, Revived Wax candles and more. The shop also offers bike rentals and has a coffee bar where you can order a cup of local coffee or tea before you leave. If you’re looking to redecorate your home, consider browsing the huge selection of furniture and home decor items at Showhome Furniture’s new store in Sunridge Mall, which opened in early 2017. The locally owned furniture store is 60,000-square feet, and fills the entire second floor of the space formerly occupied by Target and has a warehouse below it. Shoppers will find everything from sturdy cabinets to rustic wooden coffee tables here, as well as custom furniture like sectionals and sofas. March 16 marked the much-anticipated arrival of Quebec fashion retailer Simons in downtown Calgary. Located in the historic Lancaster Building and TD Square, the 95,000-square-foot store was designed by McKinley Burkart and features colourful murals and artwork by Calgary artists such as Maya Gohill and Chris Cran. Shop for men’s and women’s apparel, accessories, shoes and home decor, then finish your visit with a snack at the in-store Ève Café. The makers of one of Calgary’s most recognizable symbols — the white cowboy hat — have found a new home. In mid-May, local hat company Smithbilt Hats moved its store into the renovated Fletcher Elevator building located just a few steps away from their old space in Inglewood. The new building offers around twice the amount of retail space, which is filled with cowboy hats, millinery and some apparel. It also houses Smithbilt’s production facility and a new event space. Click here to read more about Smithbilt’s big move. At the beginning of March, CF Chinook Centre welcomed Sport Chek’s first store completely dedicated to women. The bright, 16,000-square-foot store has a huge selection of sport and fitness apparel, shoes, accessories, swimwear and sports bras. Finding items that are the right fit is one of the main focuses here, and there are several electronic stations set up to help you find sports bras and apparel that are the right fit and style. You can also visit the store’s New Balance Stride I.D. Experience Lab to have your stride analyzed and feet scanned to find the best fitting shoes for you. Click here to read more about Sport Chek Women. Stash, one of Calgary’s go-to shops for yarn and knitting accessories, moved to a new location at the end of July. But don’t worry, it didn’t move far. Stash remained in Inglewood by moving down the street to Goldgrass Home’s former storefront space. The new space is significantly larger than the old one and has classrooms to hosts 30 different classes centered around learning how to crochet or knit, how to make items like big loop blankets and macrame wall hanging workshops. 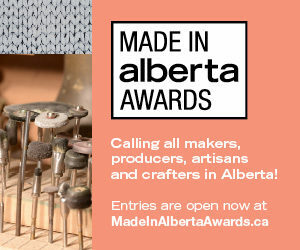 Shop brands like Quince & Company, Poppy Fibres, Wool & the Gang, Custom Woolen Mills and more. For almost eight years, Calgary jewellery designer Lindsay Saunders has been making pieces for her jewellery company, Cinder & Sage, out of a second bedroom in her condo. But this past summer, Saunders decided to open her own bricks and mortar space called The Cinder & Sage Loft in Mission. Approximately 700-square-feet, The Cinder & Sage Loft features a workspace area for Saunders on one side and a retail shop with a cozy couch area on the other. Most of the retail area is filled with Cinder & Sage necklaces, earrings, bracelets, rings, hair combs and more. Along with her jewellery, Saunders has brought in some products from other local retailers, including Words & Co. letterboards, cards from Little Me Paper Co. and candles from Milk Jar Candle Company. Click here to read more about The Cinder & Sage Loft. The Grinning Goat, Calgary’s first fully vegan boutique, is making it easier to access cruelty-free fashion in the city. The PETA-approved, 900-square-foot shop officially opened on 17 Avenue S.W. at the beginning of September, and all products in the store are ethically made, cruelty-free and vegan. The store’s main focus is on vegan shoes for men and women, offering a range of heels, sneakers, boots and flats made out of everything from cork to organic cotton to pineapple leaf fibres. Shoe brands include Ethletic, Nae and Will’s Vegan Shoes. There’s also a selection of vegan (and vegan-themed) outerwear, apparel, bags and accessories from brands such as Votch Watches, Wully Outwerwear and Matt & Nat. Click here to read more about The Grinning Goat. The Shoe Closet, which has had a store in Cochrane for around six years, opened a second location in Inglewood this past April. This is the place to shop if you’re looking for a special and unique pair of shoes that will set your look apart. Many of the shoes at The Shoe Closet come from European companies, though you’ll find a range of brands including A.S.98, Mjus, Neosens and Shoe the Bear. While the store is largely filled with shoes, it also carries apparel and accessories from Canadian and international brands such as Naketano and Pika & Bear. Take some time to look around and soak up the shop’s cozy vibe and decor, which features upcycled farmhouse door and ladder shelves and shadow boxes made out of old window frames. Take your outfits to the next level at Think Stunning. The new store, which celebrated its grand opening in The Core on June 23, specializes in stylish accessories such as leather bags, clutches, sunglasses and jewellery. Think Stunning even offers its own stylish twist on a lunch bag, which manages to be practical, sleek and professional looking all at the same time (in fact, it could easily pass for a purse). Shopping here also helps a good cause; whenever Think Stunning sells a product, it gives two percent of the profits to Charity Water.